Rules are made to be broken, right? Certain wedding traditions can be adapted, so today I'm sharing six "rules" that can be broken on your big day- it is your day after all! As tradition would have it, the bride's parents were responsible for footing the entire wedding bill- but it is becoming more and more common for members of both families to help pay for the big day. The norm used to be that couples registered for nothing but housewares on their gift registry. Though many still ask for toasters and blenders, others are hopping on the honeymoon registry train and having friends and family gift money for their honeymoon. In fact, we offer a honeymoon registry of our own! Long white gowns will always be a wedding icon, but that doesn't mean you have to have one. Shorter gowns are seeing a growth in popularity and will definitely catch the attention of your guests. Rehearsal dinners have always been a fun way to bring everyone together before the wedding, but if it's not in your budget don't worry. Rehearsal dinners are by no means essential to your big day. 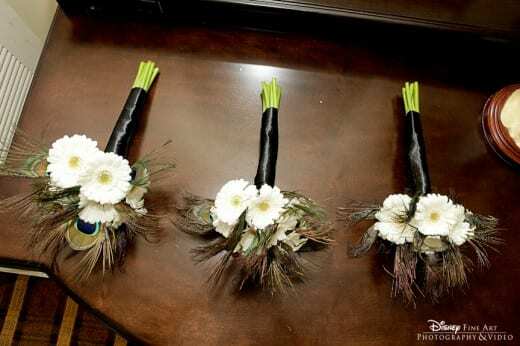 Many feel it is bad luck for a groom to see his bride before the ceremony, but disregarding a little superstition might actually be rewarding. Sharing that special moment with each other in private, instead of in front of all your guests, can be extremely special and make for very touching photos.